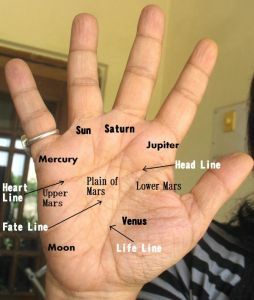 Hand Readings of famous people: What do Rahul Gandhi's hands tell us about his capability as a politician? What do Rahul Gandhi's hands tell us about his capability as a politician? Rahul Gandhi is a decent person, an independent thinker, has a balanced personality and an open mind. The question is: Would he be effective as the Prime Minister of India? People say that he is being groomed for the top job and that is why this question becomes very important. I will try to answer it by studying the shape of his hand and fingers. Will he make a good politician? of it. You need a very strong will to command and dominate others, to lead them to a goal. Rahul may have sufficient for himself, and he may have very good reasoning powers and judgment as well, but all in all he lacks the strong dominant will that strong leader of any nation needs. This isn’t about goodness or badness, just leadership. It is not just his thumb phalanges that are being taken into account here, but also the fact that his thumb is slightly flexible and slightly conic tipped, all of which softens the will. If he had excess of will, these softening influences are good. But he doesn't have an excess of it so it translates into a weak will. What makes him weaker is that Rahul is a refined person, lacking the kind of pushiness and aggression that can help make up for an average will. True, he can be stubborn on occasion although his stubbornness is no match for Rajiv Gandhi (his father). To some extent, he has ideals and a vision but the leadership quality is not present. In fact there is some amount of diffidence. The good thing is that this also means that he does not have a greed for power or a craving to rule. Even if Rahul gets power he is unlikely to become a tyrant or develop such a love for his chair that he will compromise the democratic institutions of this country. The shape of his hand also tells us that he is not selfish or narrow in his approach. This all holds as long as he does not change once he gets power. My reading is that as he is already into his forties, and his ideas and character is fairly set it is unlikely that he will intrinsically change. His strong Upper Mount of Mars also gives an indication that he is the kind to stick to his views. Rahul has other qualities which can help him be a good leader even if he does not have a dominant will. As his Jupiter finger and mount shows, he has a sense of honour, as well as ambition (even if it is not to rule), and he is very fair, and believes in a higher cause. 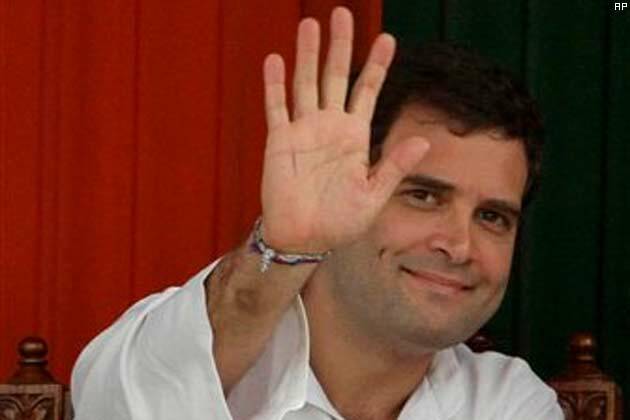 Even better, the position of Rahul’s fingers tell us that is very independent minded, and also acts independently although he has tried to curb this latter trait. This is a very good sign in a leader, (independence of thought) because it means he will not depend on sycophants. His Saturn tells us that he will take responsibility and try to fulfill it diligently, and that he is dependable. However he lacks another quality which a politician needs - canny shrewdness. He can be naïve at times, and trusting. He does lack that sharpness and cunning that seems is necessary for politicians to survive and thrive. Rahul's expressive ability is limited but he is tactful. If given the chance he can develop himself to be a good speaker although he lacks the magnetism. This is because Rahul is not really a people’s person. He is certainly not as difficult to approach as his mother is, but he does have an inherent something that makes him a bit of a loner. Call it cautiousness or shyness or inhibition, but it can prevents him from truly emotionally connecting with masses of people. We are not talking about personal relationships here, but Rahul as a leading politician in India. What is good is that he keeps improving in this department as he gets older and will keep improving. He becomes more people-friendly as he grows older. His Mount of Venus has a good development and this is a good sign. He basically likes people. I personally think that as he led a protected life in his early years (both he and Priyanka were schooled at home due to security concerns) and it did nothing to ease his cautiousness and shyness. But interestingly he was born shy. (the left hand tells us the inherited qualities and the right hand the person's current thinking if the person is right handed, like Rahul is.). If Rahul had not been born in a politician's family he would not have chosen politics as a career. He doesn’t have that type of ambition. He in fact is happy doing some serious work in the background, and feeling useful. His hands show that after middle-age, as he nears sixty, he will go back into his shell, the way he was earlier. I am not sure why, but it could be that he gets fed up of being in the public eye. Rahul has broad and liberal views, and is a practical and reasonable man. He is not as calm as he appears to be though. All the three Mars Mounts on his hand tell a story. They tell us that he has a bit of a temper although it has decreased over the years. Not just his temper, his aggression levels have gone down too, from what he has inherited. However his mental strength has not diminished. He is in fact fairly resilient, can be difficult to push and is steadfast in his views. This quality of his, evident in the development of his Upper Mars, is an excellent sign as his thumb is not very strong. Both his parents, Rajiv and Sonia have this quality too (of mental strength) and as it is present in Rahul’s left hand too, it shows that this is an inherited quality. Rahul also has a tendency to take himself too seriously, or in other words, he is a serious person although he can lighten up on occasion. He can be moody. (Moon). He can be quite economical and at times stingy. He is not the studious sort but he does have an active mind and enjoys mental pursuits. He is disciplined and controlled. He is the type one can rely on, a friend who will be true. Although he is not avaricious, money does matter to him, in the sense of maintaining the kind of lifestyle that he is used to. Whether he becomes P.M or not, one thing is clear. He will not be a strong leader and a country like India needs a strong Prime Minister. If you want to know what Rahul Gandhi's parents are really like, then check out the Hand Analysis of Sonia Gandhi and that of his father Rajiv Gandhi. Find out whether there are any similarities between Rajiv and his son Rahul. Also read Priyanka Gandhi's hand analysis and find out whether her hands reveal that she is better Prime Ministerial material as compared to her brother Rahul. Isn't it supposed to be his parents and not both his parents? In politics 40s are young, but what we really need is someone who is stronger than a party and has the right values for helping the nation hold together..
Vishesh, I think saying both parents is gramatically correct. :) About Rahul, his values seem okay but I really doubt that he personally has the personality to hold the nation and the party together unless it is simply the Gandhi name which does so. You know how it is in our country, the name can mean a lot. It is possible that a strong leader without the Gandhi name could be less effective than Rahul!! Ironical. nice analysis Nita.... Actually I like Rahul for his calm nature even though being in such a high position.... but I don't see him as a PM person... In Indian politics as you have mentioned one must be strong willed to survive..
kanagu, thanks. yeah as you said he just doesn't seem to be PM material and his hand explains why. Plus, he lacks the charisma that can appeal to us people, so important in a politician. I think Manmohan singh also lacks it (I haven't seen his hands though) but at least he was already successful as an economist, on his own steam. I wonder what sign brings out his shooting off without thought, e.g. he said that Babri structure would not have been demolished if a Gandhi was the PM? Sudhir, That is certainly difficult to say, why he said that. One doesn't know what motivated him to do it, all of the facts. Hare are my thoughts on Rahul's political future. India's current politician generation was born and trained under Freedom fighters' generation. The freedom fighter generation has mentality, in my opinion, of thinking that the things are getting better and so we are good. Second generation inherited that mentality. Combining that with voters, the freedom fighter generation voters was amazed by that generation politicians. Second generation was under influence, but not as much as former generation. Now third generation voters are almost free of the influence of freedom fighters, and their numbers are growing with each passing seniors. We have to wait few years to allow the senior politicians die and then the new generation control politics. New generation voters has already made it clear (by gradually reducing Congress seats in the elections) that they want results, not dynasty. Summary: Lacking personal solid achievements and charisma, Rahul don't have promising political career. He may won PM's seat, but I think he won't be able to keep with control as long as his grand-parents once did. Likely, he will never be India's PM.